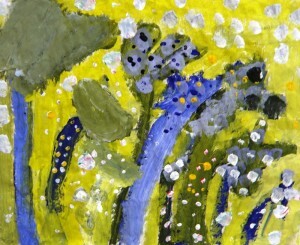 From a very young age children love to experiment with colour. 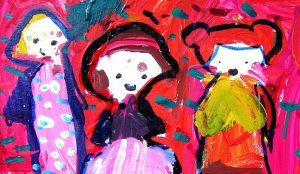 For young students, colour is a source of fascination, mixing colours, unlocking colours, discovering and experimenting with paint is a kind of magic that children love. 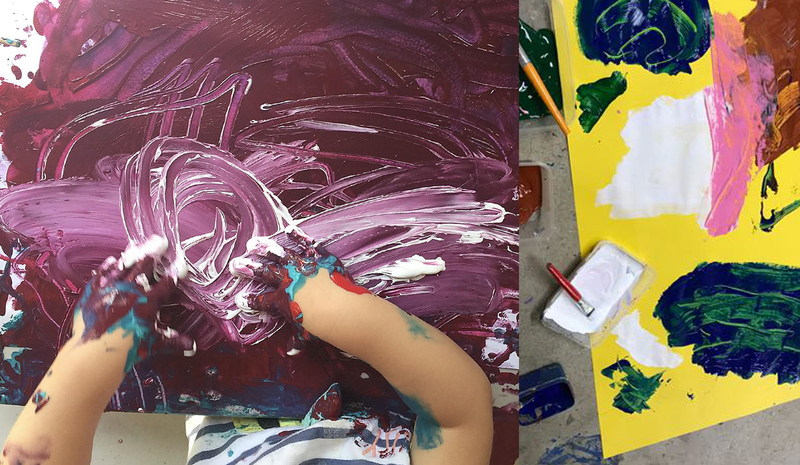 Young children start their discoveries by squeezing, smearing and moving paint and by doing so, they find out the different qualities of paint like for example: paint is wet – paint is colourful, paint can be soft and squeezable and thick and juicy. 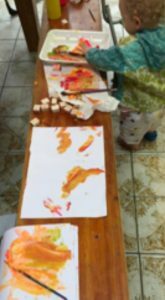 Painting supplies – Young children will need basic painting materials like paper, brushes and paint to start with, later on, other tools like scratching combs, sticks, bits of rubbery materials, sponges, foam rollers can be introduced. 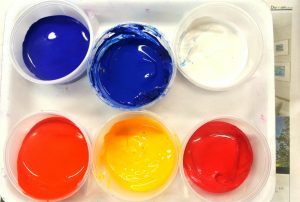 Paint: Good quality washable Tempera paint is highly recommended for beginners. 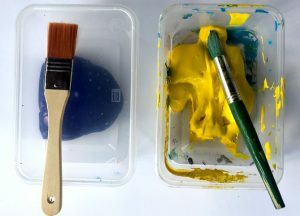 Paint should be dispensed in plastic containers with lids and one brush per colour would ideal. Colours: it will be better to start by buying bottles of 2 litres/0.5 gallons in the 3 cool primary colours: Cool Red – Cool Yellow – Cool Blue – plus white and black, with this set of paints many other colours can be mixed. This set would be the basic set for a group of 25 children and it will last for about 6 to 8 months or up to a year, depending on how often children paint. See note about paint at the end. 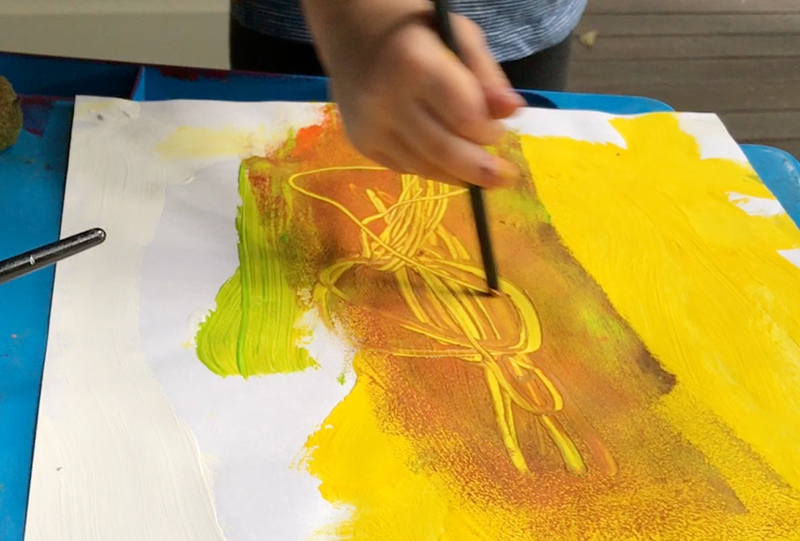 By experimenting with paint children will discover that they can mix other colours like green, orange, purple, dark colours if they add black and light colours if they add white. 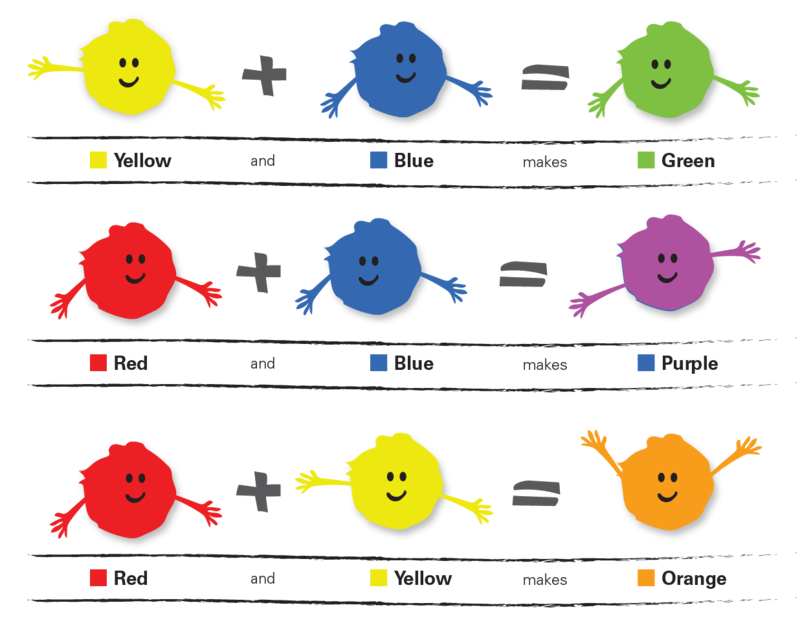 Green = blue and yellow, Purple = red and blue, Orange = red and yellow. Elsa was 2½ years old when she discovered that by adding white to red she could make pink. Paint brushes: for young children it is ideal to have paint brushes with short handles. We recommend those called STUBBIES that are of reasonable size and some small paint brushes for older children to use occasionally. 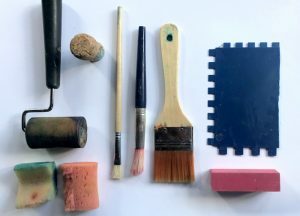 Extra tools: Children will appreciate the introduction of different tools:Foam rollers, sponges, scratching combs, corks, sticks, rubbery pieces, feathers and yarn. 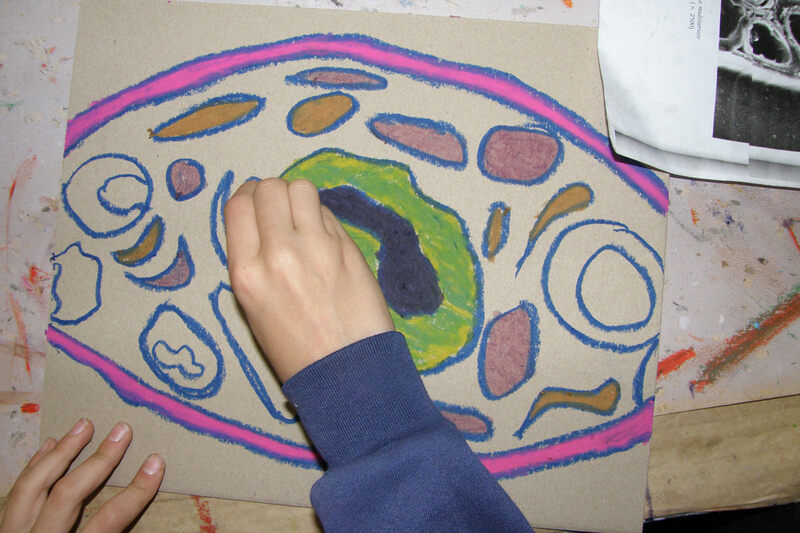 These are tools that will help children in their discoveries and experimentations. Paper – 1 ream of A3/11”x 17” size cartridge/drawing paper per room is recommended. Cartridge paper of 120 gsm or 81 to 150 lb. is ideal for painting, drawing and printing. Other sources of paper can be different kinds of recycled papers, like for example, old architect’s plans, copy paper, brown paper, card paper, old books pages and other kinds of paper sourced from student’s homes or found in places like local printeries. Places like Reverse Garbage are very good places to find all sorts of bits and bobs for the classroom. When setting up to paint with very young children, the set up should be as simple as possible. 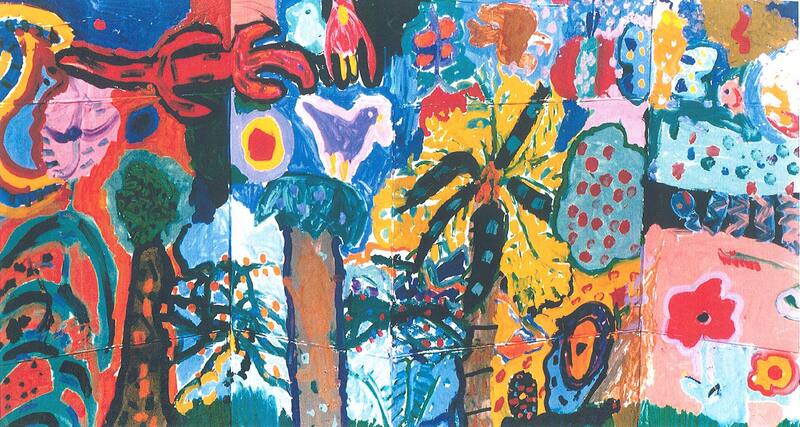 For those children who have never experimented with paint, the number of colours should be no more than two. The first task will be to create a painting centre. The painting centre can be a nominated table with all the necessary materials children will need for their painting experience. Kindergarteners will sit in small groups of no more than 5. 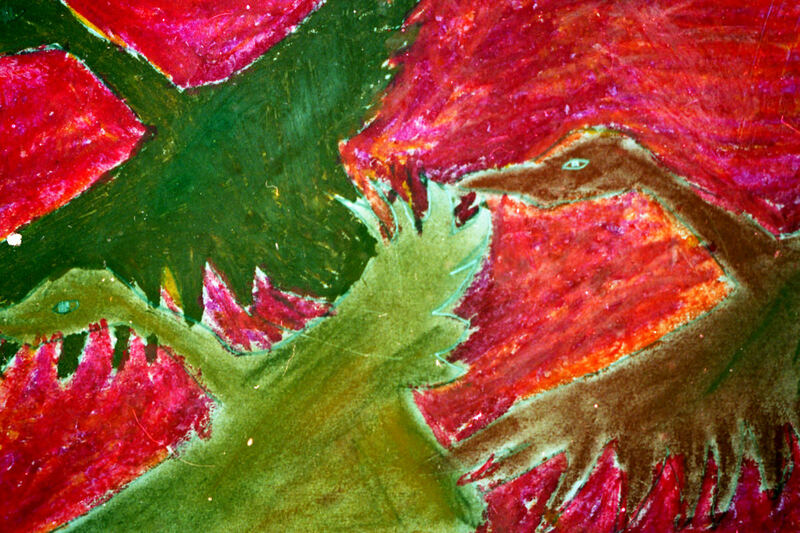 It is better to prepare the paper before the children start painting. 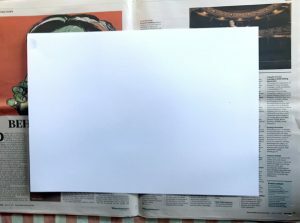 A good plan is to set up the painting paper on top of a newspaper sheet, as shown in the picture. This way young children will be able to carry their wet paintings to the drying area. 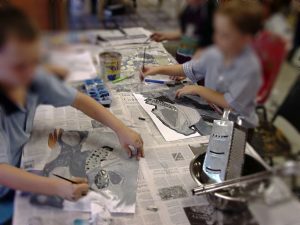 We recommend having a good amount of papers ready before the children start their painting activity. This plan can also be applicable when working with older students. A smock or man’s size cotton T-shirt for small children, if using old business shirts, it is imperative to cut the long sleeves. A3 size, cartridge paper of about 120 gsm. is good, but any other paper of different sizes and shapes are interesting. 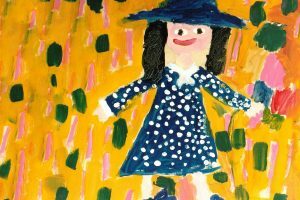 Young children will appreciate long skinny pieces of paper to do long paintings. Paint brushes – 1 short thick brush per colour for very young children. A medium size and 1 small size for older students, see sample. A piece of rag to wipe fingers, brushes and to clean tables per student. The best rags are old cotton T-shirts that normally are donated by parents. 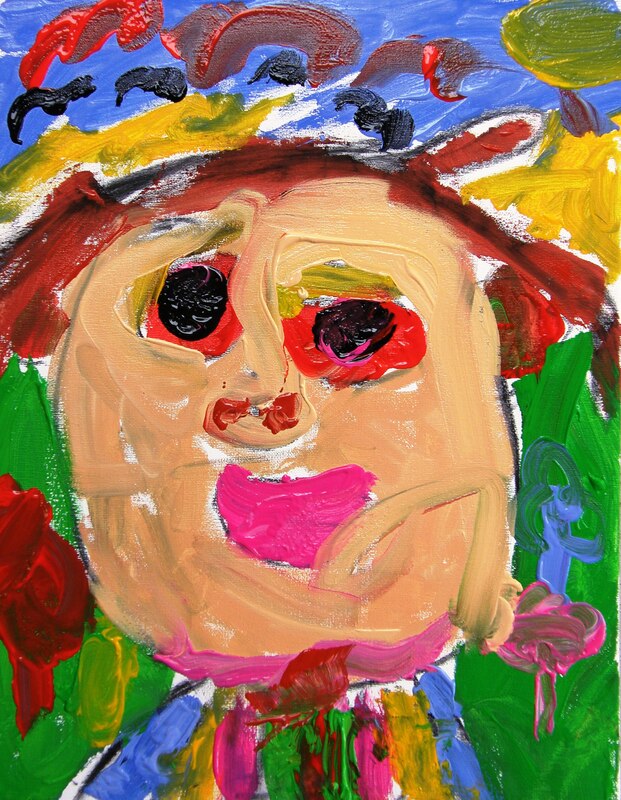 Paint: for young children and preschool years’ children the best paint to use would be Tempera. Good quality Tempera, washable tempera, is highly recommended. Note We have recommended three primary colours, cool red, cool yellow and cool blue, but if budget permits, the ideal supply will be: the 3 cool primary colours plus the 3 warm primary colours. Therefore, the complete set will be 6 primary colours plus black and white. 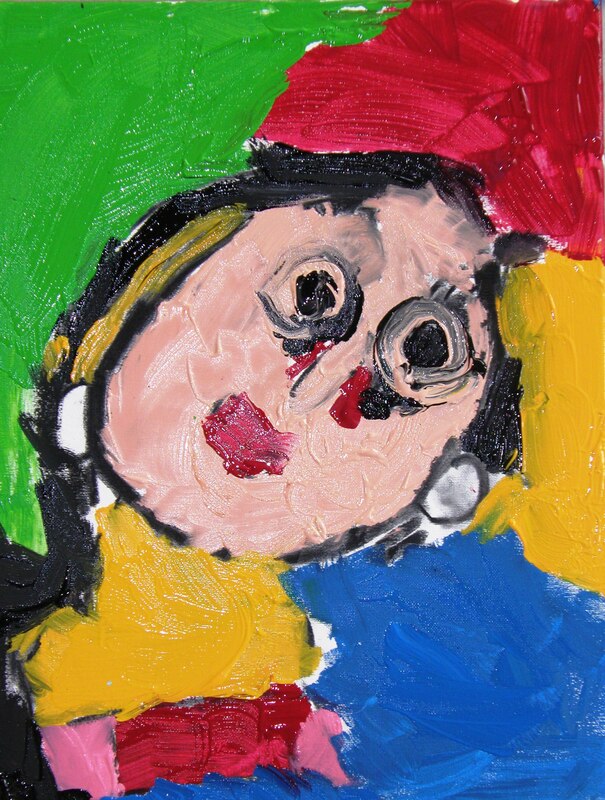 Quality Tempera is the best paint for young children. 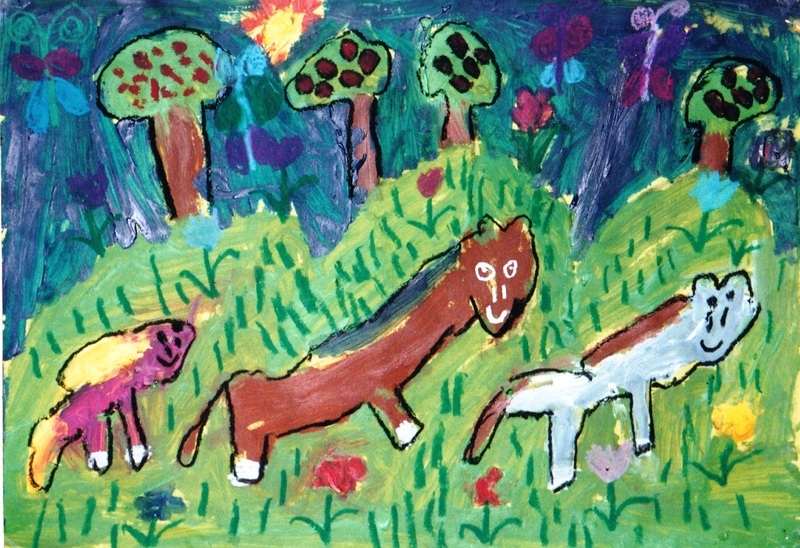 In America the best Tempera according to our results would be Sax’s – VersaTemp and Chroma2 Heavy Body Washable Tempera. In Australia Chroma2 and Chroma2 Washable tempera and ChromaKidz have produced the best results. Things that inspire: Young children love to work from their imagination, they will paint many different ideas in an abstract style very quickly. To encourage development of observation skills it would be nice to have some visual references. 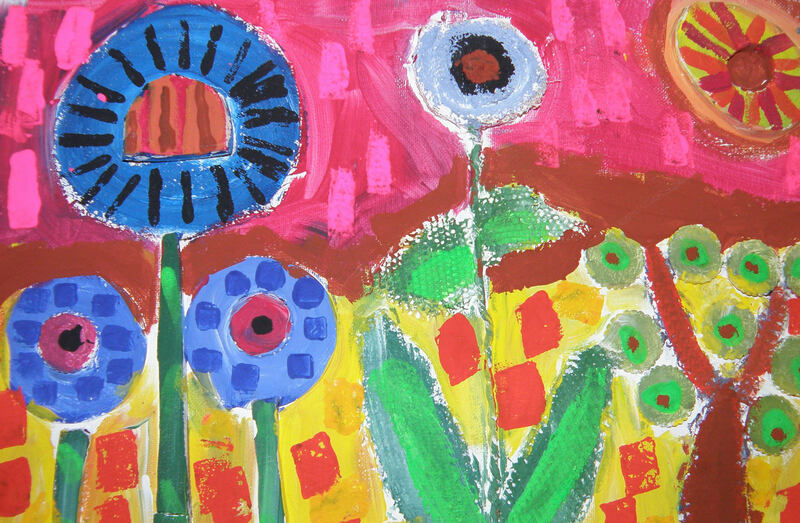 Art cards with pictures of landscapes, plants, flowers, maps, buildings, animals, small picture books. Objects like shells, seed pods, sticks, leaves of different shapes and colours, indoor plants, a simple flower, toys/puppets, plastic mirrors, ceramic vases and many more. 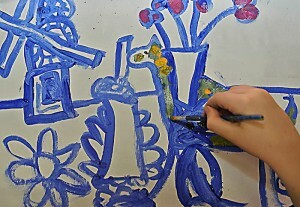 A small and simple display should be placed near the painting centre for children to comment, to draw and paint if they decide to engage in observation painting. 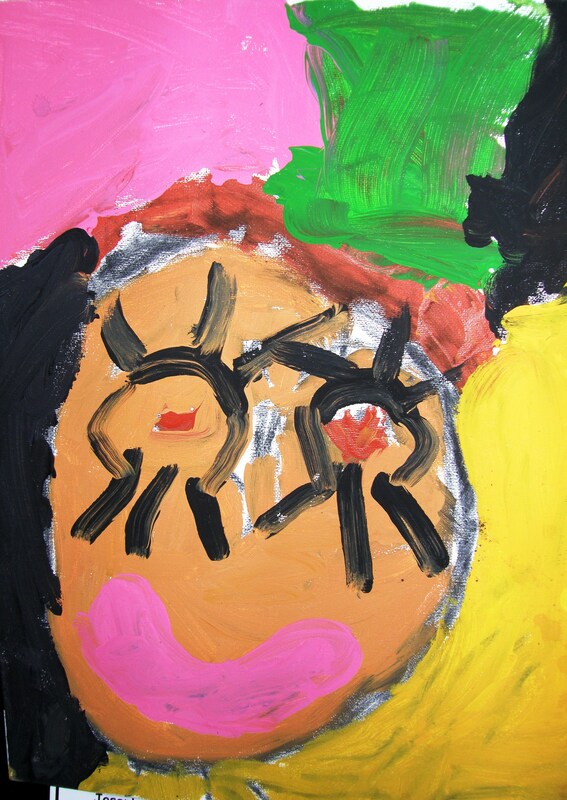 By four years of age children could start practising using smaller paint brushes to draw a simple composition. 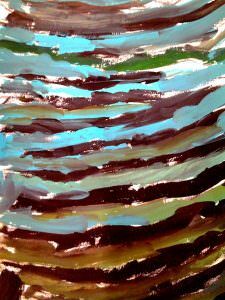 A small brush and one colour of diluted paint will be a good tool to draw before applying paint. 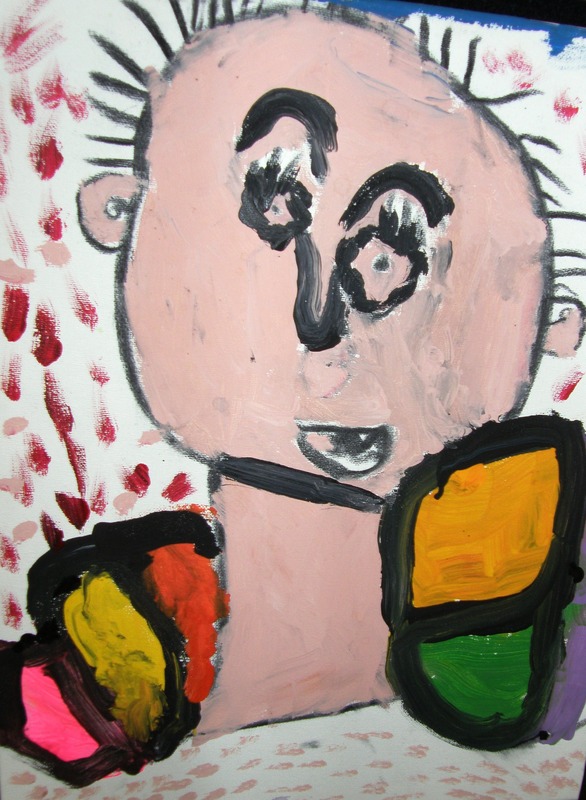 The reason to encourage children to draw with paint brushes is that they will draw big shapes with broad lines. Pencils are not ideal as children will tend to draw very small shapes and details. 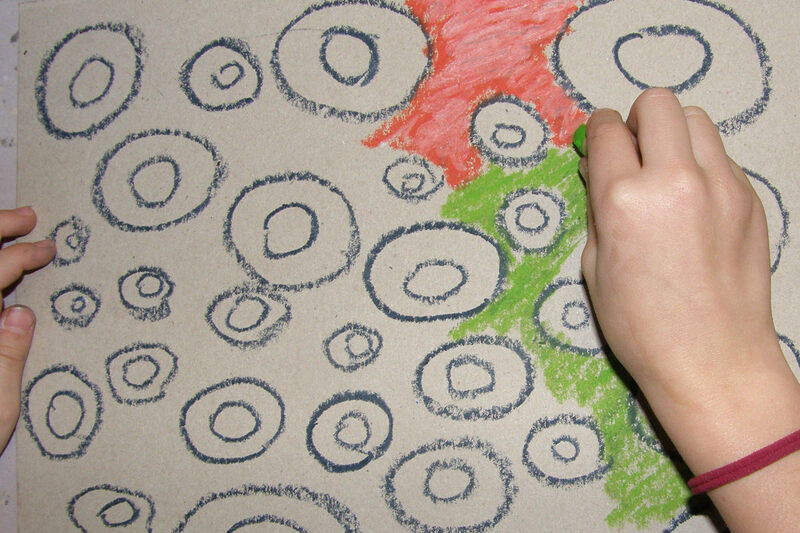 Other alternative for big drawing are coloured chalks or charcoal. What a fun thing to do, learning how to mix different tones of grey inspired by the pots, pans and other utensils from the kitchen. Read the blog post.